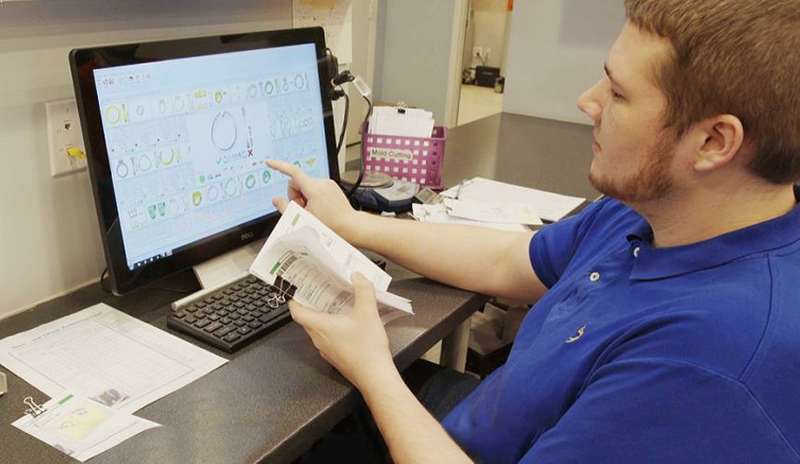 PIRO is an innovative jewelry software specifically developed for the jewelry industry, allowing seamless management of manufacturing, retail and wholesale operations by combining functionality, ease of use, and flexibility. Getting your jewelry business automated with PIRO. Our jewelry software has a simple, user-friendly interface, providing a well-organized screen for users. It can be adapted to your business quickly and requires virtually no change in your existing processes: PIRO learns your processes while optimizing & automating their management. 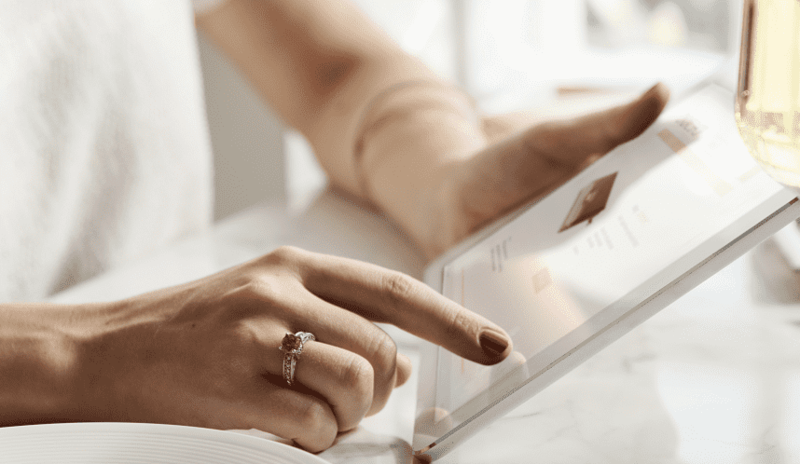 As online jewelry sales will continue to flourish steadily for the next few years, there is a growing need for jewelers to meet demands more quickly. 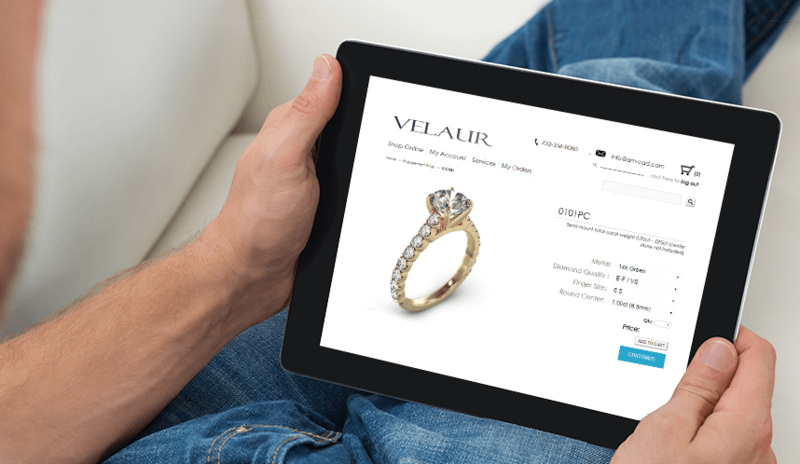 By offering real-time e-commerce integration our jewelry software became a leading platform that connects the online jewelry sales and manufacturing. PIRO Retail is a next-generation POS system for manufacturing jewelers. 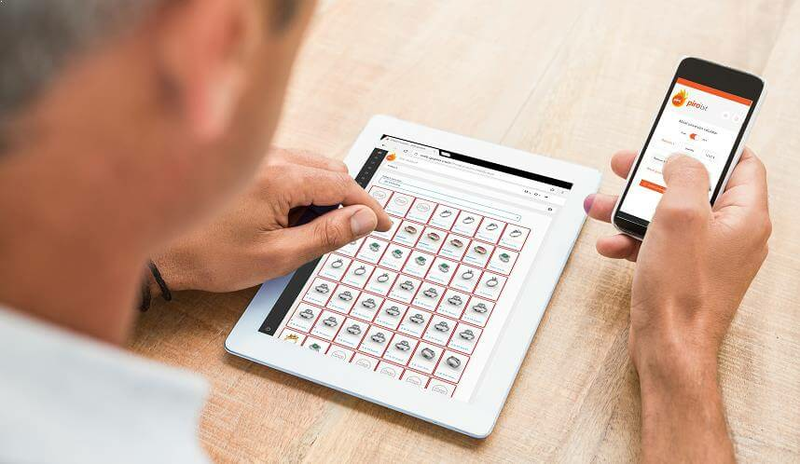 You can show your catalog and create sales order easily through a tablet application - while a feature rich back-office system automates the sales and the production process. A true POS system, not only for retailers. The PIRO Customer Portal, as well as E-commerce integration and various hardware components (integrated scales, scanners, RFID readers, etc.) are aimed to help your organization grow and gain significant competitive advantage from PIRO jewelry management and manufacturing software. Our entire business strategy is based on continuous improvement, offering innovative, powerful, and unique solutions. Our continuing work keeps our jewelry ERP software at the cutting edge of technology, and will provide you with the advantage you need to stay ahead of your competitors. As an ERP software provider we enjoy excellent ongoing relationships with our clients. Our outstanding support team is on standby to help you with any questions you may have. We do our best to make your PIRO experience smooth and stress-free! A fully centralized jewelry ERP that combines the management of manufacturing, inventory, retail and online sales, and shipping. Our modern and user friendly interface requires minimal training - and provides maximum results. PIRO is integrated with WooCommerce, Shopify, RevCascade, R2Net, SolidCommerce, VEN and Etsy (more integrations will follow). A powerful, Android-based jewelry POS system to improve your sales process and sell in an elegant way. Connectable to our ERP. PIRO's Customer Portal can be your most important bridge to your customers. Reliable support when you need it, by phone, email or online chat. One of the main benefits of PIRO is that it gives jewelry business owners a clear overview of their operation. By freeing up management time, owners could focus on improving the business strategy and finding new ways to grow. PIRO allows shop managers to know exactly where a job is in production and fulfillment. PIRO improves the overall quality of day-to-day operations and helps to run the shop in an effective and efficient manner. With it's user-optimized navigation, PIRO automatically organizes the orders for jewelers so that they can quickly see current tasks, special instructions and identify priorities. They don't have to be tech-savvy as their screens are intuitive, color-coded and include minimal information only. PIRO Customer Portal allows for easy and efficient customer interactions, online. All successful jewelry businesses are based on customer satisfaction, on-time delivery and shortened delivery times. Overall, PIRO can help you to professionally deliver your jewelry or service, and achieve maximum client satisfaction. Highly recommended for jewelry repair businesses and manufacturers; modules used for automating the manufacturing process make up the heart of our software. Strengths: accurate tracking of production workflows, inventory handling, full work order monitoring. Real-time inventory tracking, supplies and vendor management, consignment handling, invoicing and accounting (QB integration) are essential tools that PIRO offers to wholesale jewelers. Additionally, PIRO can be integrated with websites and e-commerce platforms. 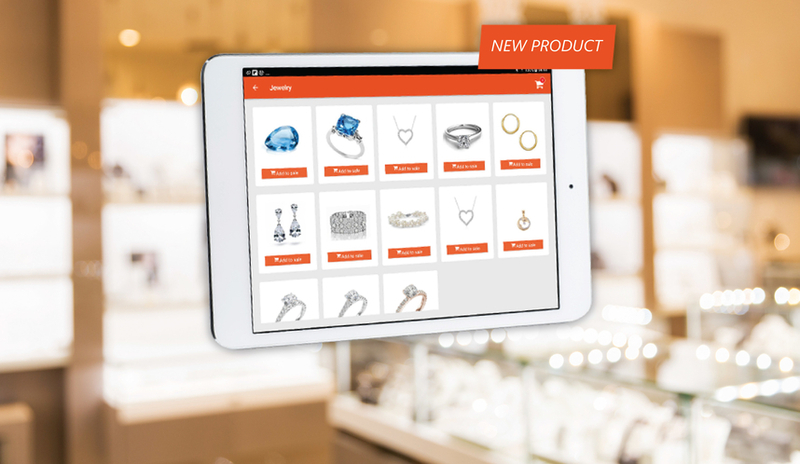 Our tablet-based jewelry POS system will help you to speed up your sales process, and sell even more. Inventory control, CRM, invoicing, sales, price quoting, reporting, and manufacturing - modules that make PIRO Retail ideal for manufacturing jewelers and retailers. PIRO offers seamless connection to many e-commerce platforms, thus PIRO can become the only order managing platform for both online and offline orders. Companies using PIRO will be able to automatically process online orders and track the manufacturing too, without hassle. PIRO is a flexible ERP software designed specifically for the jewelry industry. As an introduction we would like to guide you through the system, giving you an overview of the automation process. This module allows for strategic management of your inventory needs. PIRO will track everything that you keep in stock: metals, diamonds, precious stones, finished goods, even consumables. PIRO's memo system automatically tracks all consigned goods. Sold goods are automatically invoiced, and returned goods are automatically re-entered into your inventory. Item types and item groups play an important role in PIRO's system, allowing you to dynamically define inventory items’ structure and attributes. This feature is unique among jewelry inventory platforms. PIRO's manufacturing module, built specifically for jewelry manufacturers from the outset, has been considered its central component. Can be flexibly configured for any type of business. The job routing engine of PIRO is summarized on the Job order management form. Here, job orders can be reviewed and filtered by customer, date range and other parameters. With this toolset we are able to track casting trees, metal mixing, amounts of metals used, and metal losses. Jobs are automatically assigned to casting trees, thus preventing casting errors. Job split makes it possible to handle job order items separately when necessary: you can create suborders (child-jobs), route them separately and join them again at a specified routing point. The CRM toolset improves communication, and organizes and secures your customer data. You can keep detailed profiles of all your customers, and set up customer groups and categories. PIRO has an email sending mechanism used for sending automatic or manual notifications to users or customers. These emails and routing notifications can be fully customized and personalized. PIRO has a flexible pricing system: you can charge your customers based on markups/discounts applied to customer profiles at customer category or system levels. PIRO will automate your sales process, allowing you to create and process sales orders with just a few clicks. Numerous tools are available to streamline sales from price quoting to invoicing. This accounting automation tool links customer, inventory and invoice related data between PIRO and QuickBooks in real-time, thus eliminating the need for data export and import. Acting on issues quickly is essential to the success of your jewelry business. Having well-presented and accurate information enables effective decision-making. PIRO can calculate exactly how much it costs you to process and deliver each job order. The activities management function will keep track of all activities performed by your users. The security module in PIRO jewelry software allows you to fine-tune access to sensitive data. You can set access levels for your users by classifying them into user groups with different access rights. Our Customer Portal allows your customers to create price quotes and place custom or catalogue orders online. Customers can see their jobs, invoice history, inventory balances and more. The Dashboard is the visual interface that provides you with a number of vital indicators of your business activity (production, inventory, employees, financial etc. ), all in real time. "We have been using this jewelry software for 4 years now, and it has transformed our business. Information is critical to the success of any business, and having the details of every job easily accessible certainly makes the running of our business that much easier. All production aspects of our business are handled within PIRO, in particular, the progress of jobs through the factory and their invoicing." "Prior to purchasing and implementing PIRO, for years we ran an entirely manual process for tracking jewelry production. We are now able to process more manufacturing jobs and complete more orders faster and on-time. We also are able to track and analyze more accurate data to make better company decisions. This has helped to increase our client base, and improve customer retention." 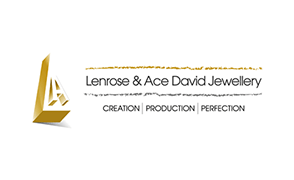 "We were looking for the right jewelry manufacturing software for many years. PIRO is currently used to manage all our business processes and invoicing steps. We estimate that production errors have been reduced by at least 30% since the adoption of PIRO, and the overall savings and increases in production capacity have allowed us to add more staff and increase production. We are grateful to the PIRO team for their professional service." "PIRO has helped us manage our business more efficiently, reduce the number of production errors dramatically, keep better track of company and customer inventories, and improve our production process by alerting us to bottlenecks and signaling where we were losing significant amounts of time and money. PIRO also connects directly to our website through use of its Customer Portal." "PIRO is now used to manage production and inventory, jewelers' activity, and the overall efficiency of the production process. It allows Pieter Andries Designs to manage our workforce more efficiently and schedule jobs based on certain priorities established with our clients, thereby increasing customer satisfaction and timely delivery rates." "In short, PIRO has helped us present a more professional service to our clients by eliminating errors and providing clear and concise information about their jobs' progress through our system. It also enables us to easily recall job information, once again eliminating confusion and enabling simple reordering. Critically, PIRO has also saved us money by vastly reducing overheads, labour costs and errors." "I can honestly say the PIRO support team has always offered me prompt and reliable customer service. Their team members are always available whenever we need assistance and respond to us in a timely manner. To me, this is one of the most important factors in selecting a software provider. We manufacture jewelry and need to feel confident that we can always rely on our software company." "PIRO connects directly to our website through its Customer Portal, allowing customers to check on the status of their job orders on their own, and to QuickBooks, reducing the amount of time spent on data entry and giving us the ability to manage our business from one place. The support team listens to all of our concerns and has always made an effort to accommodate our needs." We provide a 90-day money-back guarantee. If PIRO does not meet your expectations within the first 90 days of installation and training the full license cost will be refunded. We release updates frequently to ensure that PIRO offers the most advanced tools for our clients. These upgrades include improvements, fixes, and other innovative features. We are confident that PIRO is the no. 1 jewelry manufacturing software on the market. PIRO's innovative jewelry production modules cannot be compared to any other system - it's truly unique. Business Analysis - The implementation starts with the clear understanding of your business model and all operational processes. We work directly with business owners, department heads and staff to collect and document all relevant information. PIRO implementation - After the business analysis is done and we have a thorough understanding of your requirements, our implementation specialists will configure and test PIRO to make sure that it meets all your needs. Based on our experience PIRO implementation can take anywhere from 13 weeks to 6 months. Click to see the steps of a successful PIRO implementation in less than 13 weeks. We offer training packages to provide you with the knowledge and training necessary to fully utilize your jewelry management software. While you can start using PIRO on your own, our training program can dramatically shorten implementation time and increase your profitability by unlocking all the capabilities of PIRO. Our entire team, from support staff to developers, is committed to supporting your PIRO installation - we provide on-site, off-site (by remote access over the Internet), phone, e-mail, and online chat support. You can also access our knowledge base at any time and submit support tickets directly online using our PIRO Support Portal.